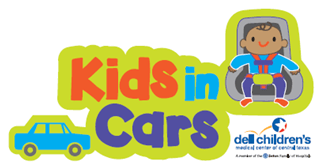 Kids in Cars is a community program made possible by Dell Children’s Medical Center (DCMC) and Texas Department of Transportation (TxDOT). 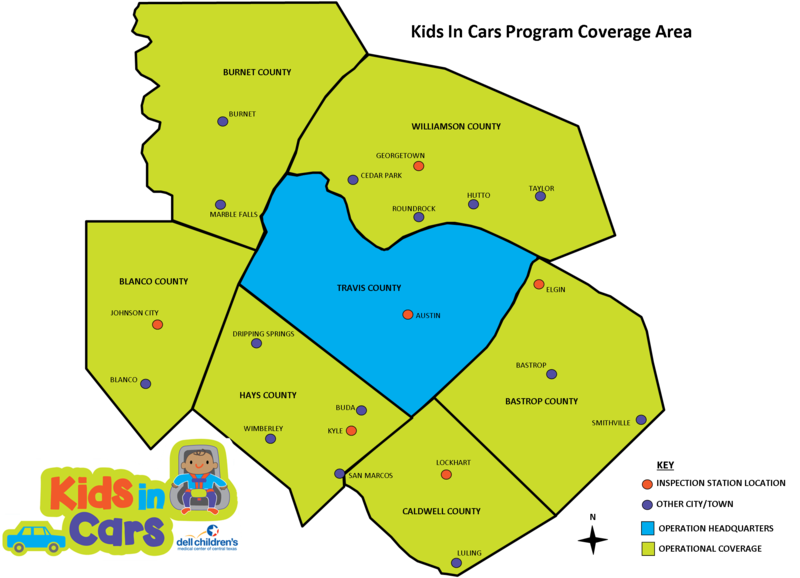 The program provides child passenger safety education and car seat inspections at no cost. 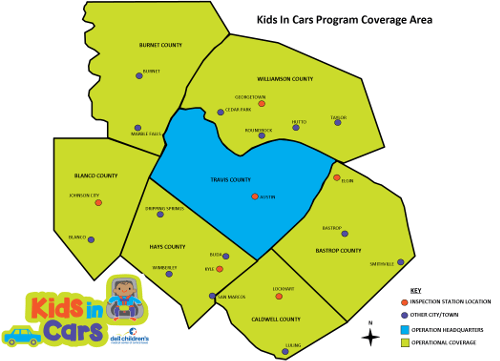 Kids in Cars serves a 7 county region including: Bastrop, Blanco, Burnet, Caldwell, Hays, Travis and Williamson counties. This program depends on our community partner volunteers who provide this service. Therefore, availability of car seat inspection appointments may vary. Caregivers are encouraged to contact 512-324-TOTS (8687) to determine availability. Call now to schedule an appointment for a car seat inspection. A car seat inspection station is a location where families can seek assistance by Certified Child Passenger Safety Technicians (CPSTs) to learn how to install and use a car seat safely and correctly. Inspect your car seats to ensure it is not recalled, expired, or unsafe to use. Determine if the car seat is the correct fit for the child’s height and weight. Help families learn how to install their car seats, and ensure they are compatible with their vehicle. Help families learn how to properly harness their child in the car seat. Provide families with car seat and booster seat educational materials. Answer any questions or concerns families have about their child’s safety while riding. Contact us to schedule your car seat inspection!